We are enlisted amongst prominent and reputed companies for providing a large assortment of Rock Crushers. These products are used in construction, mining and other applications. Our Rock Crushers crush the rock into small pieces or as per requirement of the customers. We have marked a distinct and dynamic position in the market by providing a high-quality array of Mobile Rock Crusher Machine. 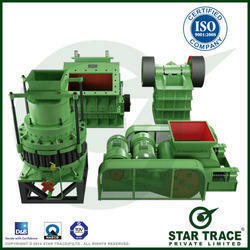 Matching up with the ever increasing requirements of the customers, we are engaged in providing Rock Crushing Machine. We have an exclusive range of Cutter Crusher Machine that is provided in different specifications at industry leading price. - Field Crushing Operations : CCI has the ability to install, service, maintain, staff and operate a portable or mobile crushing plant operation anywhere in the Mid-Atlantic States. - Perform onsite rock crushing at construction sites, making products to be used in the project itself. Sc Con Weigh & Co.